Important: Job Board Syndication requires your trial to be verified. If you are interested, please contact support@crelate.com or your Crelate sales rep. Enable your Crelate to allow recruiters to publish jobs. Decide if you want jobs posted to the free job boards. Indicate on a job-by-job basis which jobs are posted to the Portal and Free Job Boards. To enable your portal, simple navigate to Settings>Portal> Enable Portal and click Yes. This will Enable the portal for crelate, but there are more settings that you'll want to explore, and they are detailed below. You can customize the look and feel of your portal, such as adding your logo, changing the color scheme, and adding text to your portal. To upload your Logo, simply click on "Select File" and choose the logo you want to upload. For best results, choose an image that is 64px in height and no wider than 700px. You can also change the Background Color of your portal, as well the the color of the tiles, links and accents. Simply choose the color that you wish using the color picker. Remember to hit "Save" at the top to save your progress/changes. There are many other items you can figure for the portal, and they are listed below with a description of each feature. Require a Job Submission Indicates if you want to require a job for a candidate to apply to, or if they can apply agnostic of a job. Displays information about the recruiter if they are the owner of the job. Will show a Profile Picture, phone number and email address if selected. Social Sharing Bar Indicates if you want to allow people to share the posting on social sites with a single click. Show Tags Tags are a useful way to allow Candidates to search job postings. By allowing tags, and Portal Tag used when publishing a job will allow a candidate to search the tag. 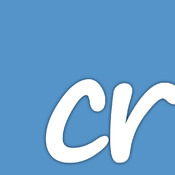 Crelate send an email when an applicant applies. You can specify the recipient of the email using the hour-glass lookup. You can choose multiple recipients. This section allows you to indicate which free jobs boards you want to publish your jobs to. You first need to indicate 'On' for Free Job Board Publishing. For each Free Board that you select "yes", when you publish a job in Crelate, it will also publish that Job to the free job boards. Please Note: It can take anywhere from 1 hour to 48 hours for the Free Boards to pick up your job posting. Go to Jobs>[JOB NAME] and open a Job Record that you want to publish. Double-Click to open the Job. *Note* You'll want to make sure these fields are added or the option to publish will not be made available. Click "Yes" where it says "Show this Job on your portal"
You can select the URL at the bottom to send directly to candidates, or using on other Job Board posting. Featured Jobs will show toward the top of the Portal. Hidden Jobs require a direct link for applicants to apply. For information about "refreshing" a job posting, please see: How To: Refresh a Job Posting.